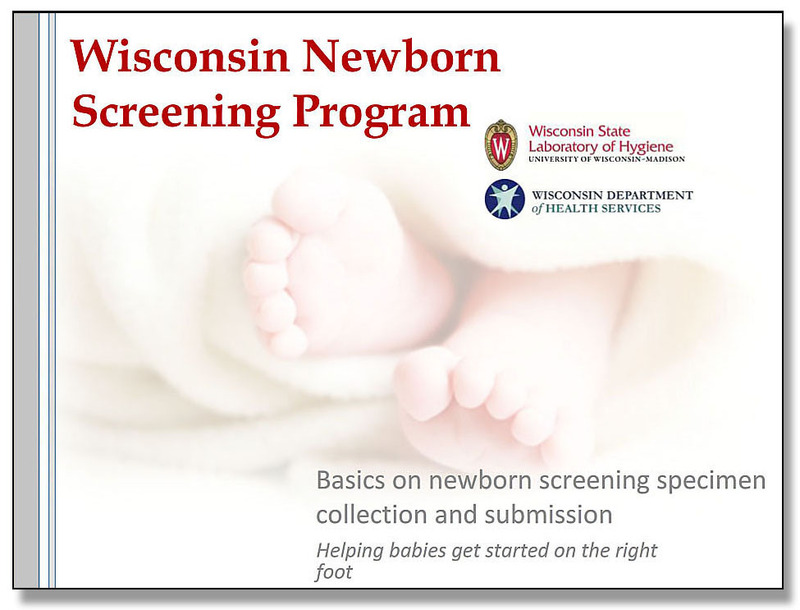 The Wisconsin Newborn Screening Program has produced three interactive training webinars on collection and submission of newborn screening specimens. 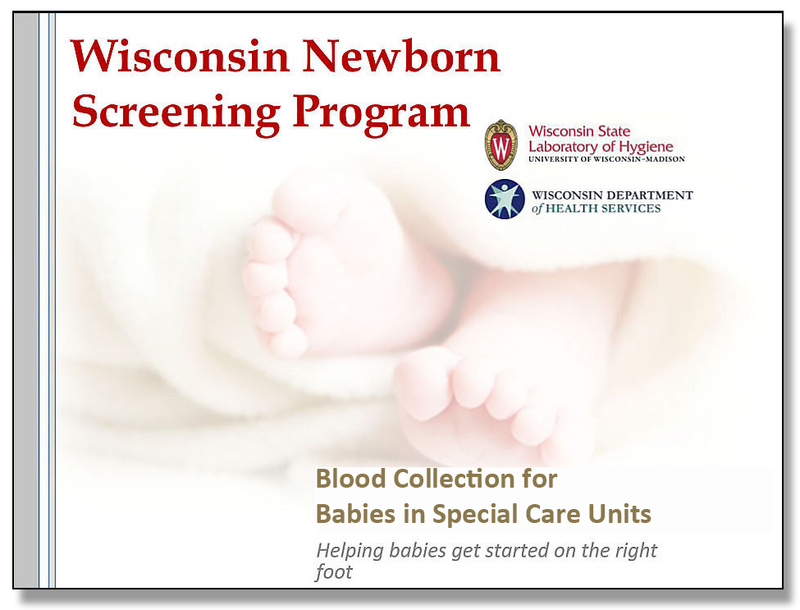 The intended audience for all webinars includes nurses, midwives, phlebotomists, physicians and all health care workers who participate in the newborn screening process. These webinars can be used to train new health care workers as well as refresh the skill set of those currently performing newborn specimen collections. Click on any webinar image to get started! 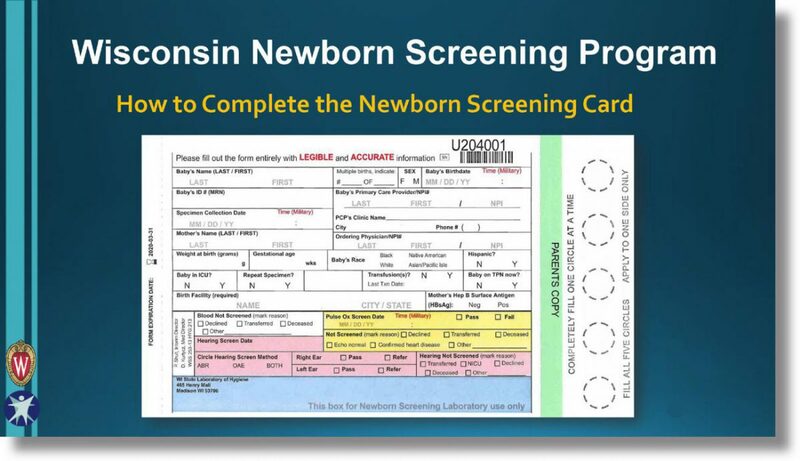 This 30-minute webinar provides instructions for accurately completing each field on the newborn screening card. Both webinars are composed of an initial pre-test, a 20-minute training module, followed by a post-test, and includes materials that can be downloaded and printed. This project was 100% funded with federal funds from a federal program. This project was supported by Cooperative Agreement #U60HM000803 funded by the Centers for Disease Control and Prevention. Its contents are solely the responsibility of the authors and do not necessarily represent the official views of CDC or the Department of Health and Human Services.